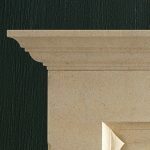 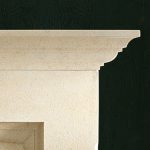 An imposing stone Tudor chimneypiece of unusual form incorporating heavy jambs which are shaped to project forwards at the midpoint. 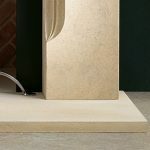 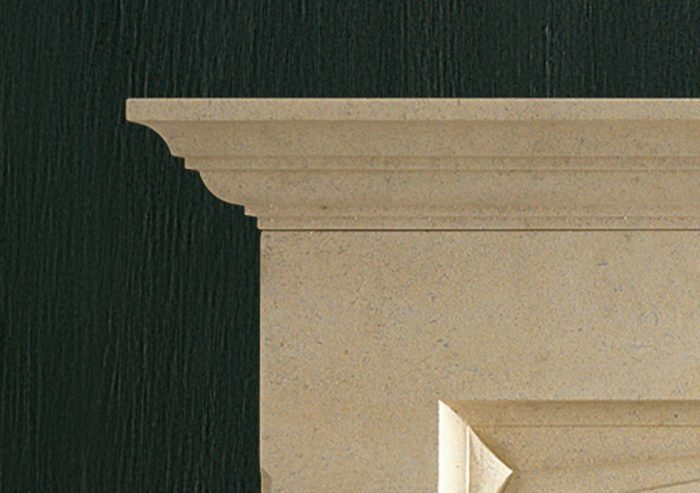 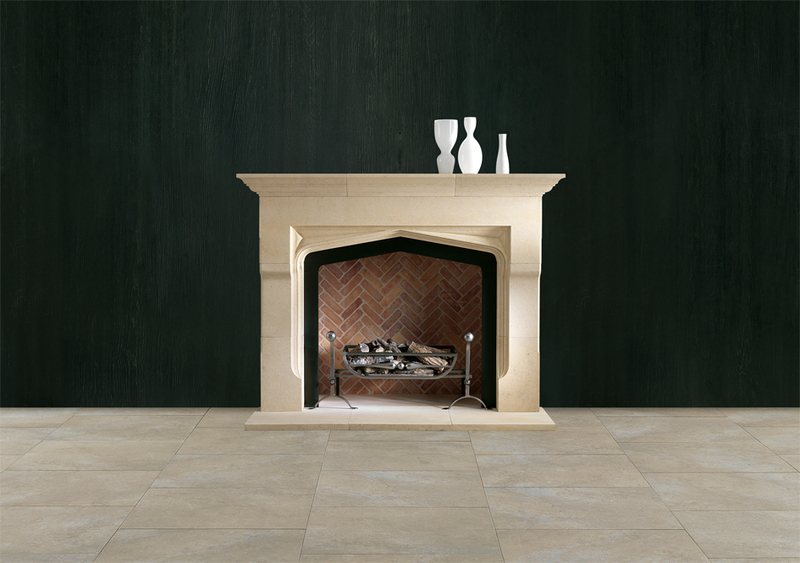 Shown here in English Bathstone. 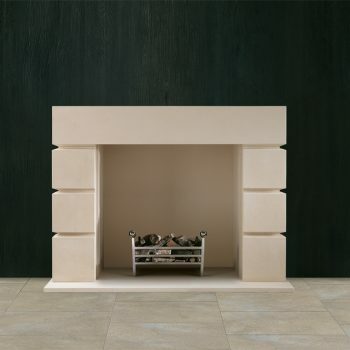 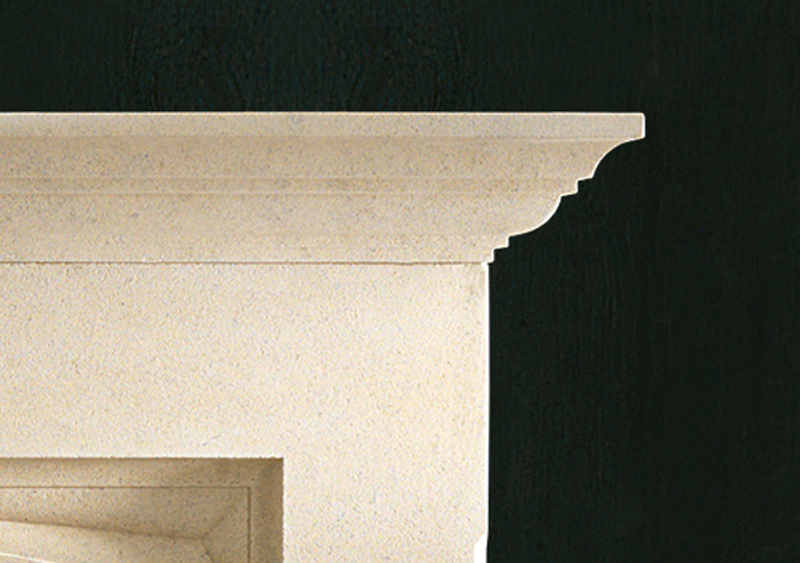 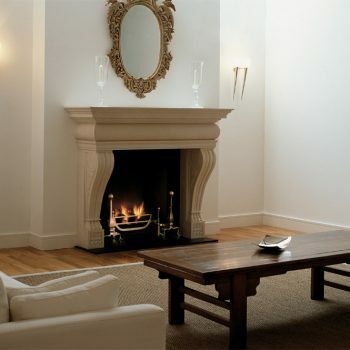 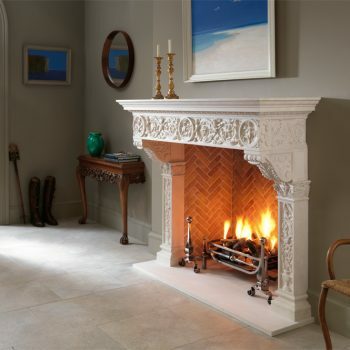 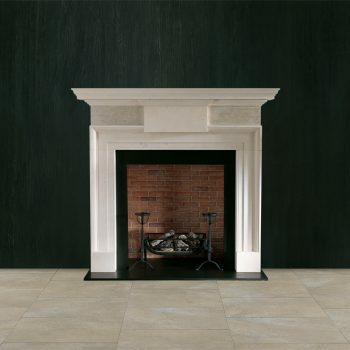 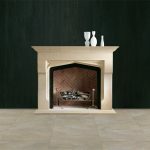 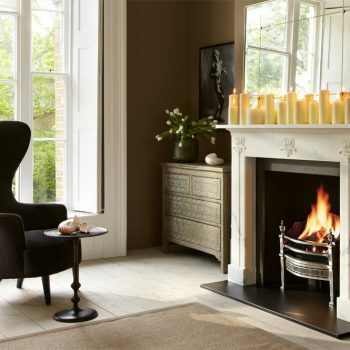 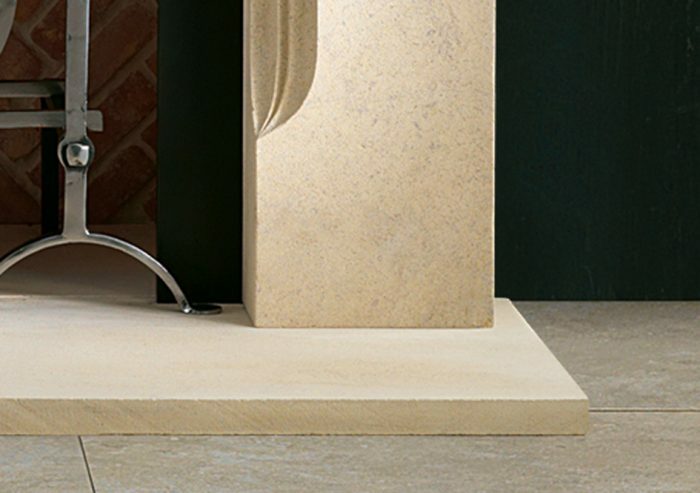 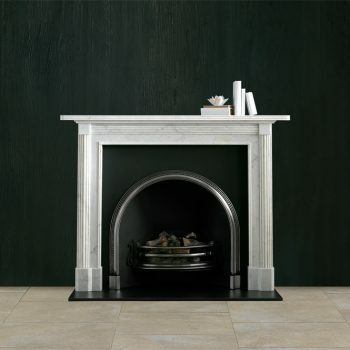 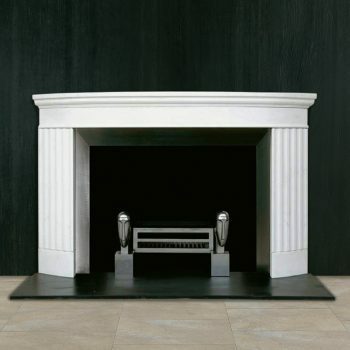 The standard production material for this fire surround is Bianco Avorio. 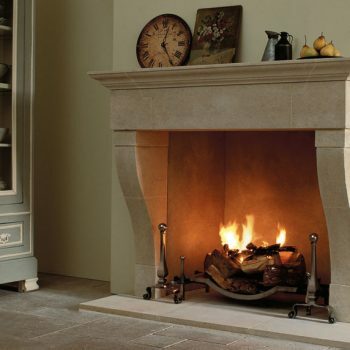 It is shown with Ballhead fire dogs, Baird fire basket for dogs, black slate slips and matching stone hearth.